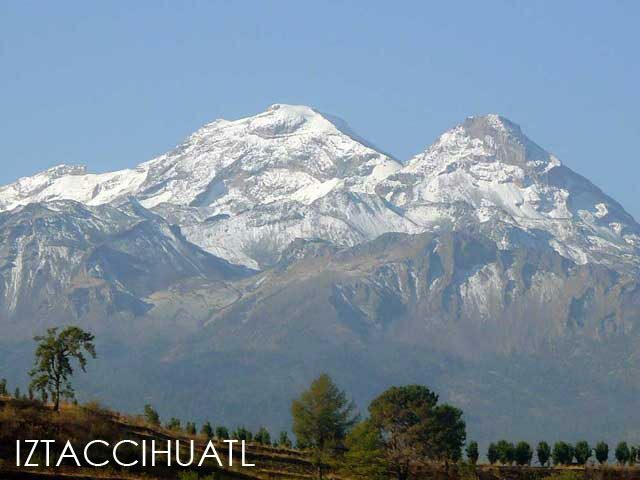 The bus ride to Puebla, Mexico was quite interesting. The highways were no doubt scenic. It was difficult to sleep since I didn't want to miss the view. 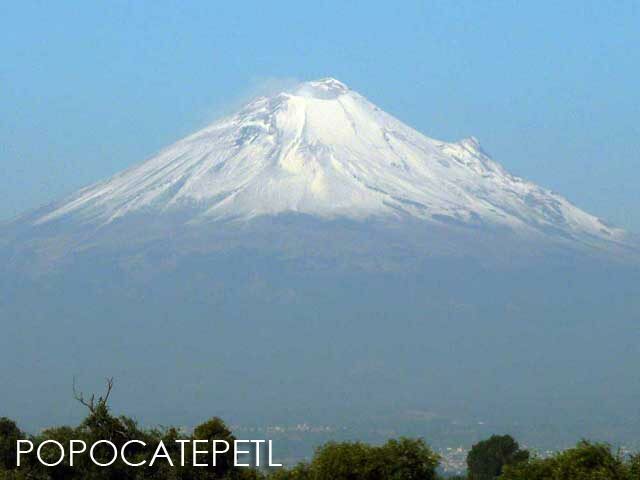 Along the way, I marveled at the sight of two snow-capped volcanoes: Popocatepetl (5,426 m) and Iztaccíhuatl (5,230 m). 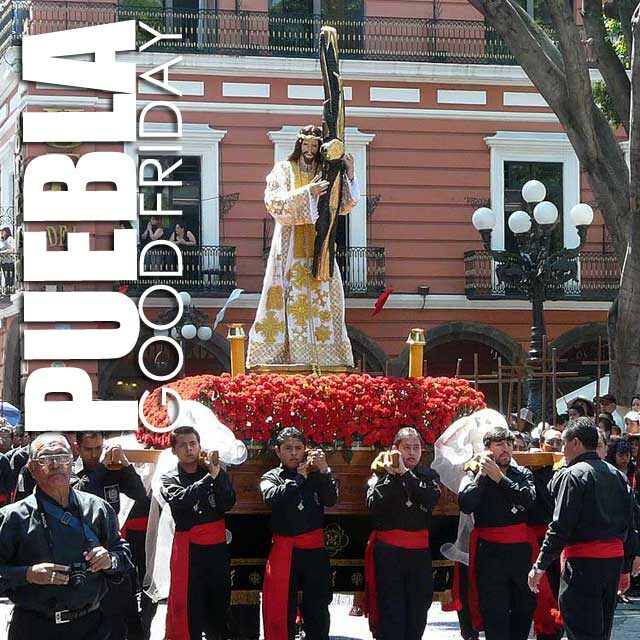 It was Good Friday and we were off to Puebla to watch the Good Friday procession. Like most of the places we planned to visit, the Historic Downtown of Puebla is a UNESCO World Heritage Site. 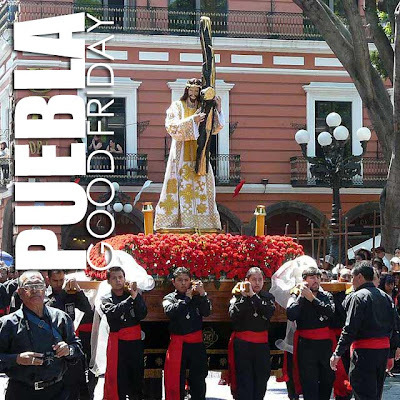 It was a good thing we arrived a few hours before lunch since people were just starting to troop to the Puebla Cathedral for the noon procession. At least we got to take some photos of the streetscape while it wasn't jampacked with people. Later in the afternoon, moving around, especially around the Zocalo, was quite a challenge. 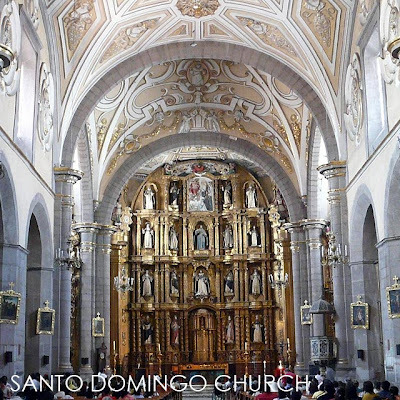 Our first stop was the Catedral Basílica de Nuestra Señora de la Inmaculada Concepción. 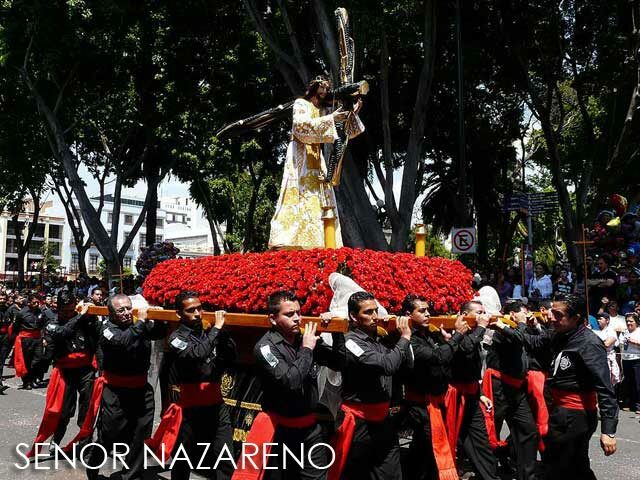 The archbishop was leading the Way of the Cross or Via Crucis inside the cathedral. So we could not really appreciate the grand interior. We walked around the Zocalo hoping to visit other sites. But after seeing the growing crowd, we decided to find ourselves a spot to observe the procession. At about 11:30 a.m., a small procession passed by, with images of the Señor Nazareno and Señor de las Maravillas borne on andas, making its way to the Catedral. 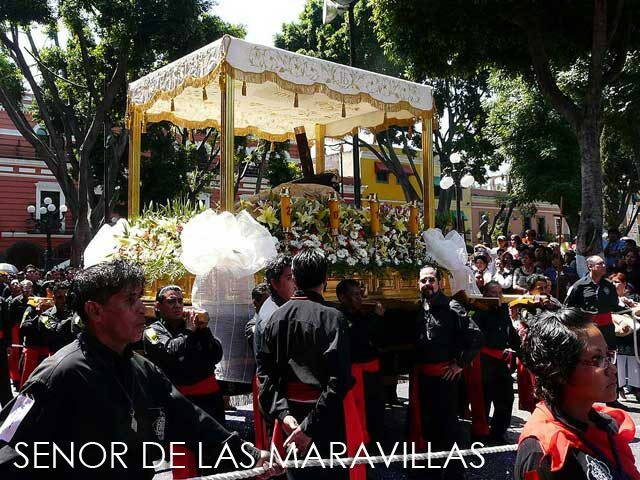 They were accompanied by a marching band and women with matracas, a percussion instrument that is used especially during Lent. 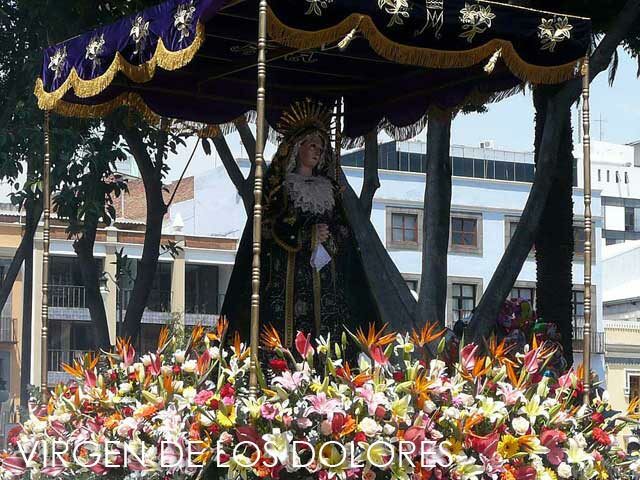 Some parishes and confradias have passion images that participated in the procession. 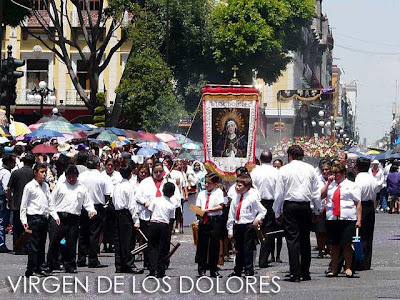 And at 12 noon, these images were brought around the historic downtown in a colorful and solemn Good Friday procession. What I noticed about processions both in Spain and in Latin America is that images are on andas, borne on the shoulders of devotees. 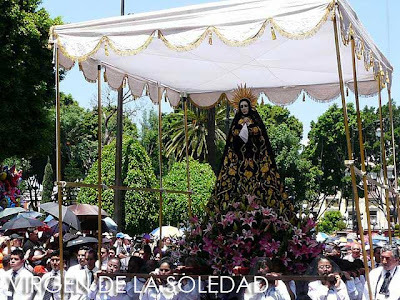 While in the Philippines, most images are on carrozas with wheels. After the procession passed by, we tried to walk around. But we ended up going back to the Zocalo for lunch at an al fresco restaurant. 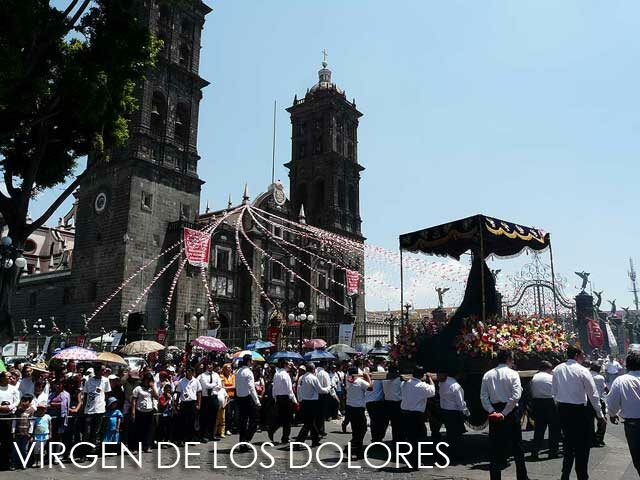 It was also a good vantage point for the return of the procession back to the Catedral over two hours after it started. 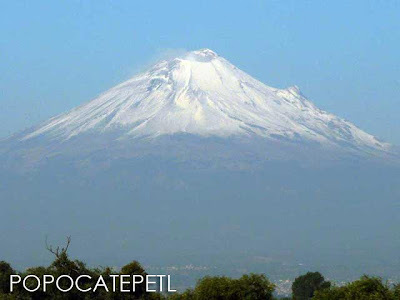 Of course, I had to have mole poblano because it originated in Puebla, hence the description poblano. So we got to see the procession a second time. The first image was the Virgen de la Soledad, followed by the Padre Jesus de Analco, Virgen de los Dolores, Señor Nazareno and Señor de las Maravillas. 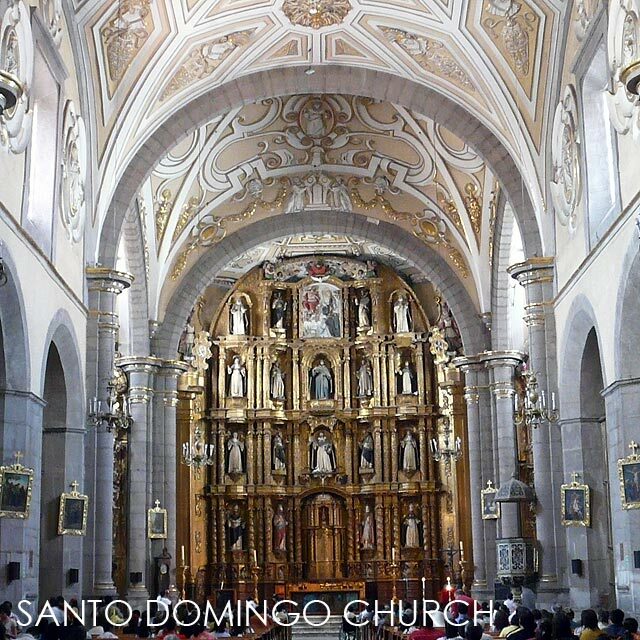 After the procession, we walked to the Templo Conventual de Santo Domingo de Guzmán or the Santo Domingo Church. 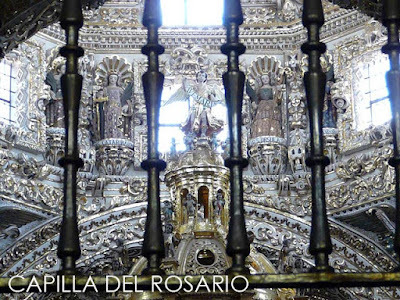 If there's one church you have to see in Puebla, it's this one, particularly the Capilla del Rosario. We got to see the church. 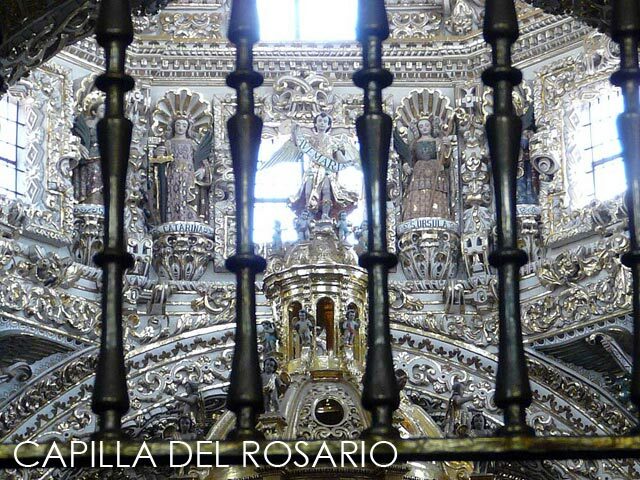 But unfortunately, the chapel inside was closed until Black Saturday. So we only got to see it through the grill entrance. For some reason, it must have been the dense crowds, we decided to leave earlier than scheduled. It was warm and there were just too many people, it got a bit exhausting walking around. So we took a cab back to the bus station and tried our luck to board an earlier bus which we were able to do. If I do get to visit Mexico again, I'll make sure to include Puebla and nearby Chulola in the itinerary. 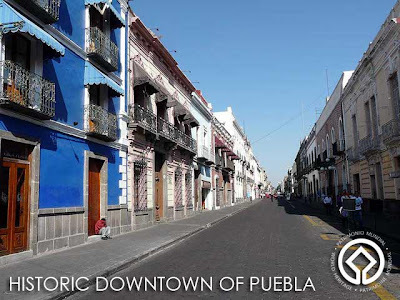 More photos of Puebla in Ivan About Town in Facebook. Puebla is about 2 hours by bus from Mexico City's Tasquena Terminal (MX$142). 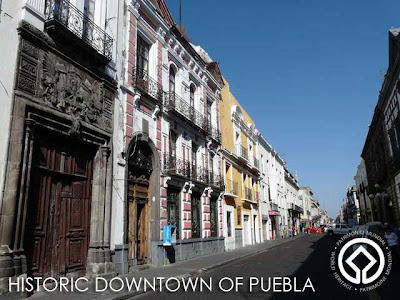 From the terminal, take a taxi to downtown Puebla.